Three exceptional craft breweries in 3 hours. OUR FLAGSHIP CRAFT BREWERY TOUR! Tour three exceptional craft breweries in three hours. We get you back of the house privileges at all breweries! *Exact schedule is subject to change where required to accommodate the various breweries. Tour departs at 12:00pm every Wednesday, Thursday, Friday, Saturday, Sunday (Winter hours may vary)*. *Want to go a different day or time? Private tours can be arranged for groups of 8 or more for any day of the week! 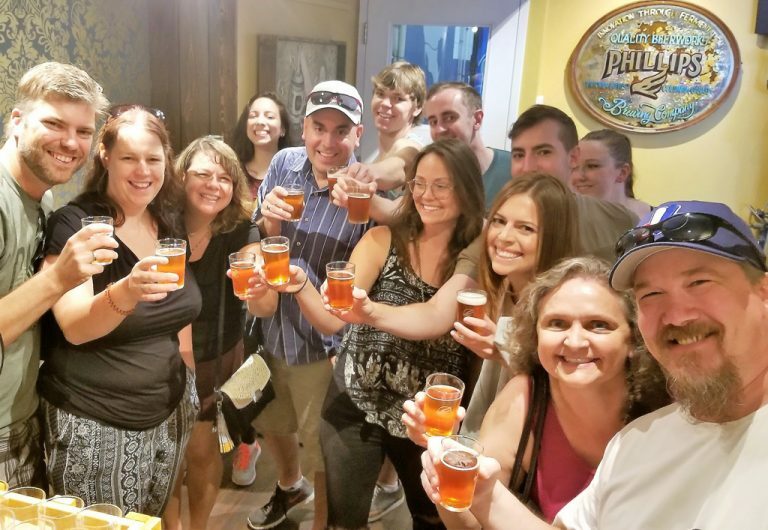 Full transportation to all breweries on our brew bus, lots of fresh local craft beer served at each location, fully guided back of the house tour with hands on introduction to the craft brewing process. Tour duration is 3 hours (allow 4 hours for Sundays Sooke District tour). Please arrive 15 minutes before tour start time. Must be 19 years of age or older to consume alcohol on this tour.